Founded in 2001, Trans-Media-Akademie Hellerau e.V. (TMA) is a Dresden based institute for interdisciplinary research on theoretical and practical level focused on how new technologies influence human body, behaviour and creative expression. Main activities of the organization are based on two pillars, projects by the Trans-Media-Labor Hellerau (TMA lab) on the one side and CYNETART Festival on the other. The focal point of TMA lab is media education, reflection on media and interactive media art practice. Its philosophy is to create a space for creative exchange and coproduction in the field of arts based on new technologies. It is dedicated to mediation of various ways to perceive and to apply new media. On the other hand, there is the CYNETART Festival, which is an international high-level festival for computer based arts and interdisciplinary media projects. Every year it unites outstanding media performances, cutting-edge interactive installations as well as current positions of electronic and experimental music. 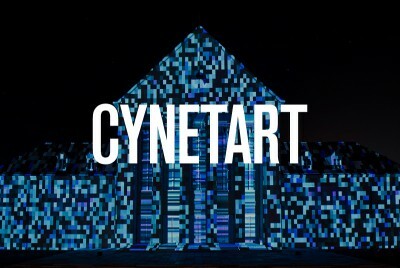 CYNETART festival is an experimental space where artists can experiment and play with future art, music and ideas. It aims to engage festival audience and artists in a participatory experiment in creating new kinds of artworks, new forms of participation, new understanding of art and technology and innovative ways of presenting media art. Arranging encounters between artists from all over the world, the festival becomes a vibrating, interdisciplinary space for groundbreaking projects.